Welcome to your chapter's website! 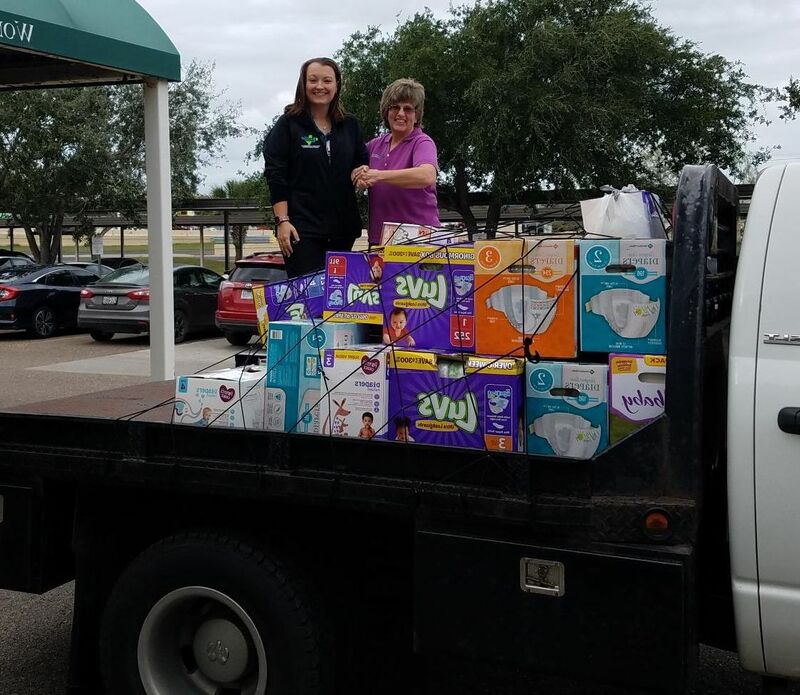 diapers for the Coastal Bend Wellness Foundation. Pictured Peggy Benavidez with the Coastal Bend Wellness Foundation (left) and Chapter Member Sandy Stokes (right). 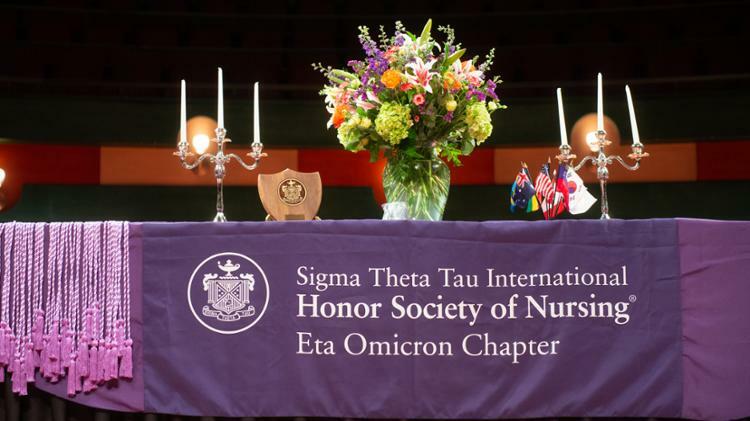 ● May 9, 2019, Thursday – SPRING INDUCTION CEREMONY of new members into Sigma Theta Tau, International is 7p.m. in the Performing Arts Center located at TAMUCC. A reception will follow the ceremony in the lobby. Inductees attending the ceremony will receive honor cords and a membership packet. The group photo of the new Inductees will be taken following the ceremony. For more information, contact Eta Omicron Chapter President Dr. Pamela Greene at Pamela.greene@tamucc.edu or by phone at 361-825-2270. 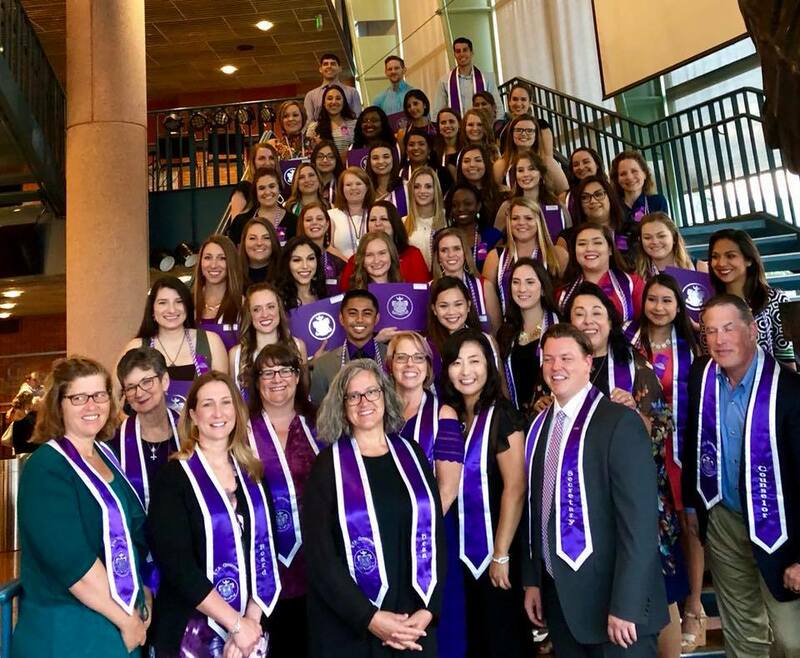 ● August 8, 2019, Thursday – SUMMER INDUCTION CEREMONY of new members into Sigma Theta Tau, International is 7p.m. in the Performing Arts Center located at TAMUCC. A reception will follow the ceremony in the lobby. Inductees attending the ceremony will receive honor cords and a membership packet. The group photo of the new Inductees will be taken following the ceremony. For more information, contact Eta Omicron Chapter President Dr. Pamela Greene at Pamela.greene@tamucc.edu or by phone at 361-825-2270. ● October 5, 2019, Saturday –5K RUN ’n WALK to celebrate FOUNDER’S DAY. Save the Date! For more information, contact Eta Omicron Chapter President Dr. Pamela Greene at Pamela.greene@tamucc.edu or by phone at 361-825-2270. 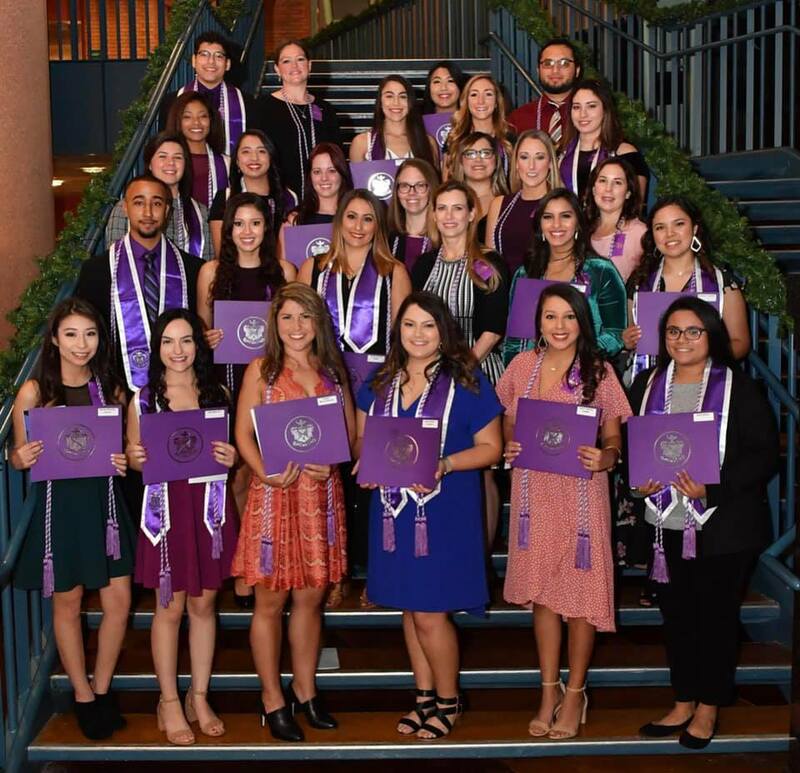 ● Dec. 12, 2019, Thursday – FALL INDUCTION CEREMONY of new members into Sigma Theta Tau, International is 7 p.m. in the Performing Arts Center located at TAMUCC. A reception will follow the ceremony in the lobby. Inductees attending the ceremony will receive honor cords and a membership packet. The group photo of the new Inductees will be taken following the ceremony. For more information, contact Eta Omicron Chapter President Dr. Pamela Greene at Pamela.greene@tamucc.edu or by phone at 361-825-2270. For your convenience, request to join our Facebook group by searching "Eta Omicron Chapter - STTI." We disseminate similar information on our Facebook page as we do on our chapter website. Additionally, be sure to update your STTI profile. Most importantly, ensure your STTI profile's email address is your personal email instead of work/school, in the event your place of work changes or you graduate.